"Dien Bien has clearly already reached the standards. The streets are occasionally brightened by trees and crazy lighting poles, there is a large market, a roundabout and there are even museums and pagodas. Maybe Dien Bien already on its way to be an advanced or to be excellent city. It looks a bit empty, but they're working hard on it. The Vietnamese government has developed a program to encourage Vietnamese to settle in Dien Bien." Dien Bien Phu - is situated 474km from Hanoi. It is surrounded by mountains and is situated in the Muong Thanh valley. This valley is 20 km long and 6 km wide and has the shape of a heart. 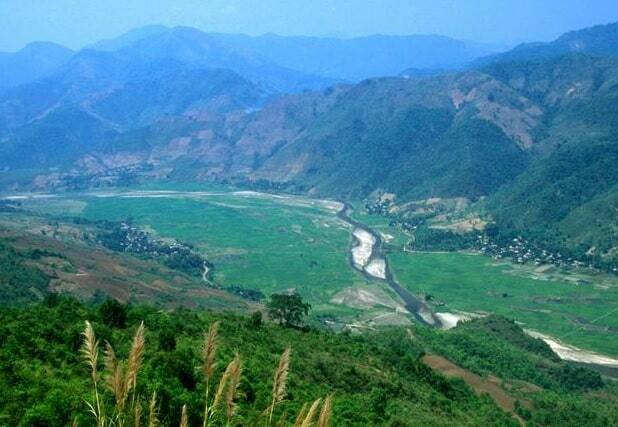 In the valley flows the Nam Rom River, and that's why the Muong Thanh valley is so fertile. The city is best known for the battle during the First Indochina War against the French colonists. The region was once the "rice bowl" of the Viet Minh. The battle is known as the "Battle of Dien Bien Phu." It was the last battle in the Vietnamese war of independence. There are many sites that recall this war, both in the city and beyond. The city was formerly named Thaeng. The capital of the province is a short distance from the border with Laos. The French defeat at Dien Bien Phu was leading to a full withdrawal of the French from their colonies in Indochina. The division of Vietnam came about into a northern and a southern part. The battle of Dien Bien Phu is regarded by historians as: the first time that a non-European colonial independence movement was able to defeat a modern Western occupier in a battle. As such, it had a huge impact on the world politics. It inspired other independence movements, and there came a period of decolonization, particularly in the French territories in Africa. 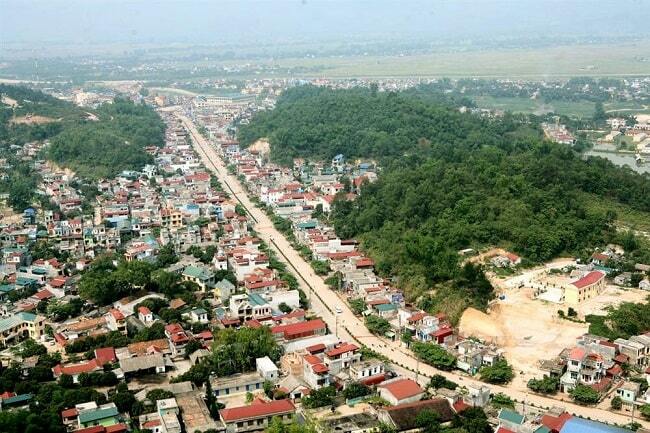 Today Dien Bien Phu is a relatively quiet town, with a population of about 100,000 inhabitans. It acts as a regional center for trade and commerce in the province. The city is also known for its high proportion of ethnic minorities; only a third of the inhabitants are real Vietnamese. It's a normal sight to see immigrant women in traditional dress in town, especially at the bus station. At this terminal the night buses depart for example Hanoi. These buses leave around 17:30, because the trip will take about 12 hours. There is also a bus to Muang Khua in Laos. Dien Bien Phu is a colourful city, and so are the residents: Vietnamese, Thai and H'mongs. They walk through the city in their colourful clothes. They are doing their daily business. Carrying their merchandise through the city, shopping at the crowded market, and they love "xoe dance parties" in their stilt houses. These people, with so many different cultures are as different as their clothing. Yet they share the same warmth and hospitality to the tourists. Dien Bien Phu is a historic province and the nature is beautiful. The center of Dien Bien Phu is quite small and you can easily explore everything on foot. There are also people who offer you a motorcycle ride, if needed. Dien Bien Phu is a useful and stop, if you en route to other destinations in the province. There are several karaoke and restaurants dotted along the main road. It's best to eat at a local restaurant and drink with the locals. It is best to know the region and its people. As far as food concerns the specialty of Dien Bien is dried food. For example, dried beef, dried chicken, dried pork, etc. eaten. Pa Khoang Lake is actually an artificial water reservoir. It is especially critical for the irrigation of the fields in the valley. In winter there's a mist over the lake and in summer it brings more cooling. In the forest around the lake there is also a wide variety of animals and orchids. There are many species of fish and plants floating in the lake. 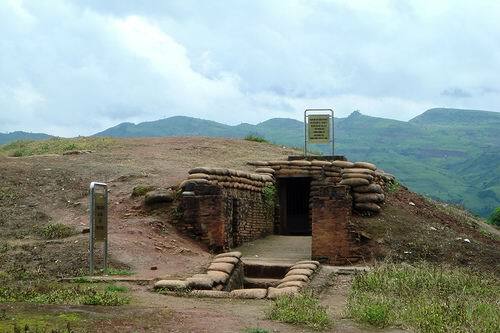 It's also Dien Bien Phu the only tourist attraction. There is a newly built hotel, which resembles a Swiss castle. 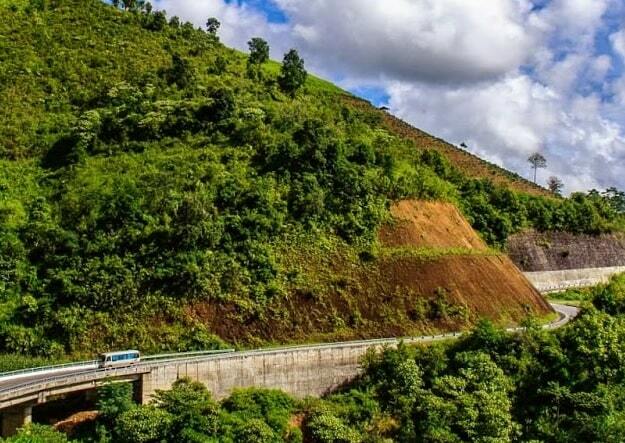 At the weekend, there's a pressure on the 21-kilometer road from Pa Khoang Lake to Dien Bien Phu. Common residents of the city want to spend the whole here at the lake. The resort is a sign of what Dien Bien Phu is heading for: it will attract more tourists.